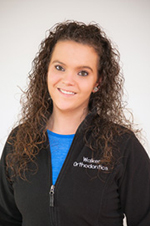 Amanda has been part of the Walker Orthodontics team since October 2015. She graduated from the dental assistant program at Chester and Porter Institute has been working in the dental field since 2013. She lives with her husband Shaun-Paul, their daughter Adeline, and two cats, Nala and Raymond. Outside the office, Amanda enjoys sending time with family and friends and watching the Patriots. 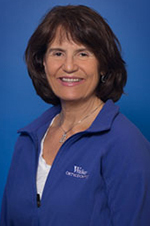 Donna has been with Walker Orthodontics since 2005, having received her certification in radiology from Boston University. She lives in Leominster with her husband and three children, Angela, Timmy and Tony. She also has four granddaughters, Isabella, Mia, Lily and Hannah. Donna has many hobbies including sewing, scrap booking and cake decorating. She especially enjoys spending time with her family and is an avid Red Sox fan. Sarah is a graduate of Quinsigamond Community College, where she completed the Dental Assistant program. 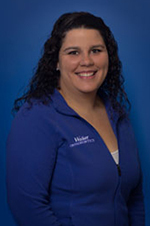 She has been a part of the Walker Orthodontics team since 2005. 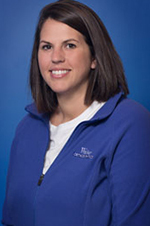 Outside of the Harvard orthodontic office, Sarah enjoys spending time with her husband and two sons. Danielle graduated from the Dental Assistant program at Minuteman Technical School in 2007 and has been working in the dental field since she completed her training. She joined the team at Walker Orthodontics in 2015. Outside of the office, she loves spending time with family, friends and her dog, Chanel. She also enjoys watching the Patriots and Bruins. 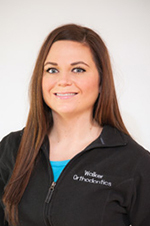 Maurissa has been in the orthodontic field since she graduated Monty Tech in 2013, and has been with the Walker team since March of 2017. Outside of work, Maurissa enjoys fishing with her boyfriend, hiking, taking her dog for a walk, and spending time with her family. 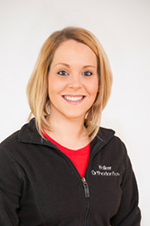 Karen has been working for Walker Orthodontics since 2007, but has been working in orthodontics since 2002. She currently lives in Fitchburg. She has three children, Andrew, Sophia and Connor. In her free time, Karen enjoys spending time with her family and watching the Red Sox. 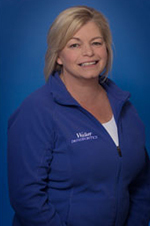 Pam has been with Walker Orthodontics since 2014. She is a long time resident of Lunenburg, where she raised her 4 children. In her free time, she enjoys going on walks with her dog Charlie and spending time with her family. 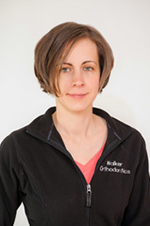 Mandy has been part of the Walker Orthodontic team since July 2017, but has been working in the dental field since 2012. She enjoys spending all of her free time with her husband and two young children, Lillian and Lucas. 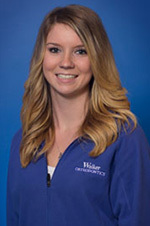 Breanna has been a part of the Walker Orthodontics team since 2016. She graduated from the Dental Assistant program at Monty Tech in 2009. She then went on to study medical administration at Quinsigamond Community College. Outside of the office, Breanna enjoys spending time with her husband, Joe and their daughter, Ava. Are You Ready for Your Walker Orthodontics Smile Assessment at Our Lunenburg or Harvard Orthodontic Office? Our 5-star-rated orthodontic team is ready to welcome YOU! Call 978.345.7988 or click here to request your complimentary, no-obligation Walker Orthodontics Smile Assessment. Your free, new patient appointment includes a complete oral exam and health history, digital x-rays, an office tour, and a consultation with Dr. Walker or Dr. Neely – a $400 value! Our 5-star rated Lunenburg MA Orthodontist and Harvard MA Orthodontist offer the most advanced orthodontic care for children and adults, including children braces, teen braces, and adult braces. Our orthodontic treatment options include braces, Invisalign, Invisalign Teen, metal braces, clear braces, early orthodontic treatment for children, airway orthodontics and surgical orthodontics. We can even help you achieve your new confident smile faster with SureSmile and AcceleDent! Call 978.345.7988 today to schedule your complimentary, no-obligation smile assessment at one of our conveniently located orthodontic offices. Come experience Walker Orthodontics! You will quickly see for yourself that we offer innovative and affordable braces and Invisalign in Lunenburg, MA, Leominster, MA, Fitchburg, MA, Harvard, MA, Townsend, MA, Ayer, MA, Orange, MA, Westminster, MA, Winchendon, MA, Groton, MA, Worcester, MA, Littleton, MA and Concord, MA.